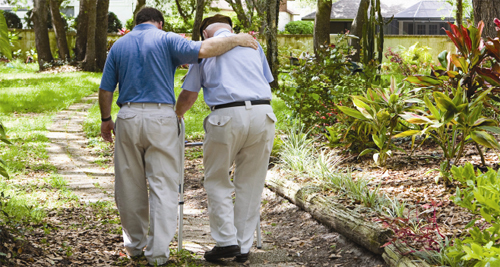 Catholic Community Services provides non-medical assistance to aging persons and those with disabilities living in their homes – in every county in western Washington. Homecare workers do everything from housework, such as the grocery shopping, the laundry and dishes, to personal care such as dressing, bathing, and helping transferring from the bed. Care may be just a few hours a day, or around the clock. For all income levels, CCS brings affordable, personal care every day, sustaining those who are served with dignity – in the home they cherish. CCS also provides a congregate meal program in Pierce and King Counties and a home-delivered meal program for senior adults in Pierce and Lewis Counties. In collaboration with the African American Elders Program, the Long Term Care System assists African American elders in accessing and receiving social and health services through ongoing case management, support and referrals. Q: What exactly does Catholic Community Services’ Long Term Care do? A: We hire, screen, train, and supervise home care workers who provide personal care and homemaker tasks to people who need the assistance to remain independent and in their homes. Q: Does CCS perform a background check on home care workers? A: Yes. All new home care workers must pass a Washington State Patrol background check and if they have resided in the State of Washington for fewer than three years an FBI check. Catholic Community Services exceeds the state requirements on background checks because of our concern for the safety of consumers. Q: Who is responsible for paying taxes, etc? A: Catholic Community Services is responsible for managing all “employer responsibilities” such as wages, withholding taxes, and on-the-job injuries. Q: Does Catholic Community Services provide benefits for home care workers? A: Yes. An essential part of our mission is to provide our employees with health and dental insurance, paid training, travel time, pension, and advancement opportunities. Q: What if Catholic Community Services cannot provide the care I need? A: Our professional staff can assist with information referral through our extensive network of resources within CCS and the larger community. Q: What specific tasks can Catholic Community Services provide? Q: When can the care be provided? A: We can provide care from two hours a day to 24 hours a day every day of the week. Q: Where can the care be provided? A: We can provide the care in all settings the home, an apartment, even in facilities. A: Many people qualify for free or reduced-cost services through DSHS. We can make a referral for you. Q: What if someone doesn’t qualify for DSHS services, but still needs home care? A: Many insurance companies cover the type of care Catholic Community Services provides, and many people find the rates affordable especially given the cost of alternatives. Q: Do you provide care only to Catholics? A: No. We provide care to everyone, regardless of religious beliefs. A: Call Catholic Community Services toll free at 1-877-870-1582.